Hear ye’ ! Hear ye’ ! This weekend, travel back to the 17th century : a time of conflict in the Forteresse’s history! 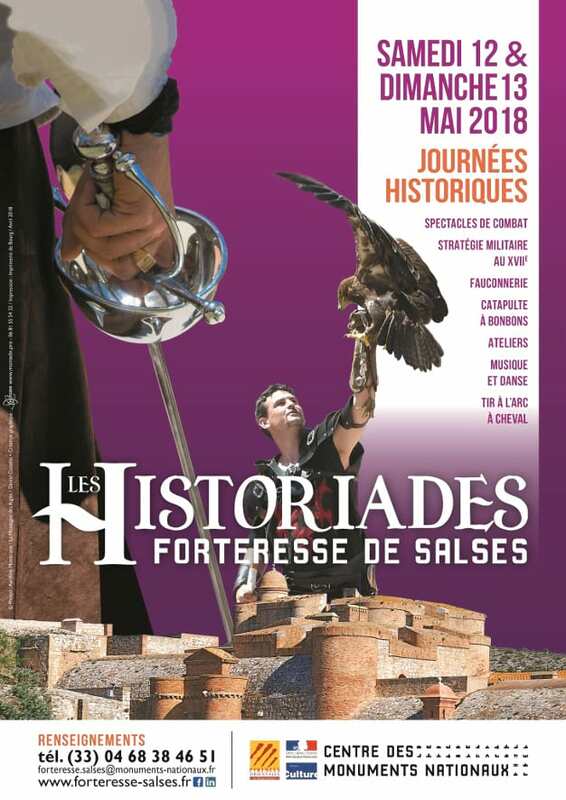 After 3 years of recreating the adventure, passion and excitement of the Middle Ages, local history enthusiasts are this weekend inviting both young and old to bring the history of the Forteresse de Salses in the 17th century to life. Discover the magic of this bygone era! Musketeers, in traditional costume, will perform 3 times in day in a theatrical reconstruction of a wedding that degenerates into sword fighting. The audience can also take part in a fencing workshop after the show! Other entertainment includes 17th century military strategy workshops, falconry displays, catapulting (with sweets, not canon balls! ), horseback archery show, stone carving, music, dance and games. You want to have your cake and eat it!